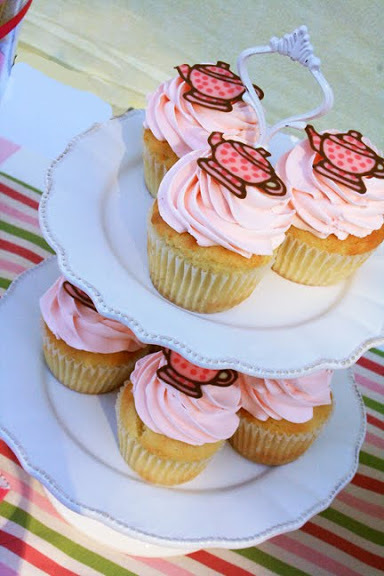 I have so many pictures from Stella’s tea party that I’m going to have to do two posts for it. 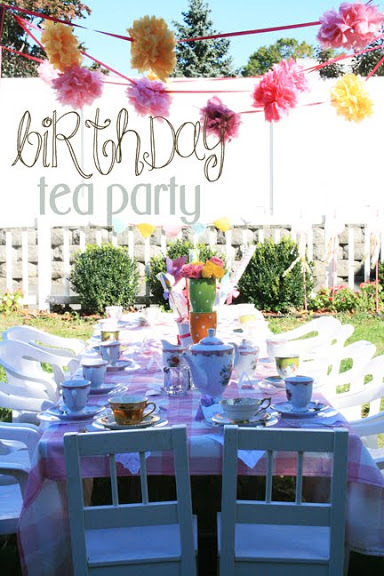 Today I’ll focus on the party decorations since Becca gave me that responsibility. I was happy to obliged. Thankfully the weather held up after a week of rain and it was a gorgeous Fall day. To my relief, we were able to hold the entire party outside! I rented an eight-foot children’s table and chairs, and we squeezed 16 girls around it. 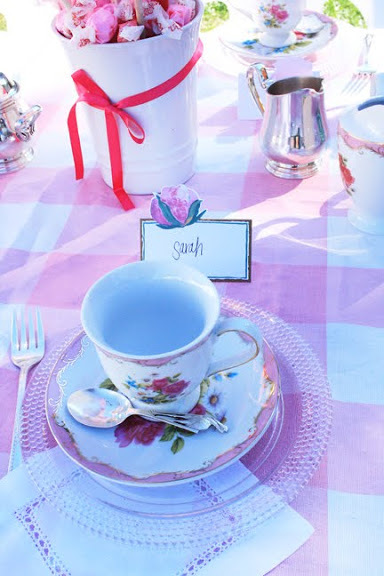 I found matching gingham fabric to the invitations and sewed a tablecloth. From my tissue paper supply box, I made four paper pom pom garlands and strung it across the table. 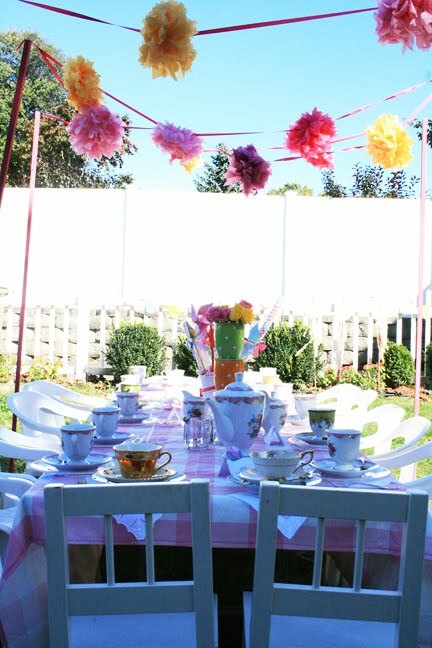 They were supported by six-foot wooden stakes that I spray painted pink. 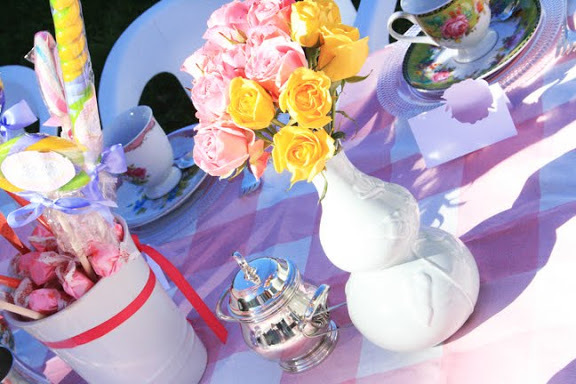 I gorilla-glued cheap teacups and saucers together to make a tall flower centerpiece. 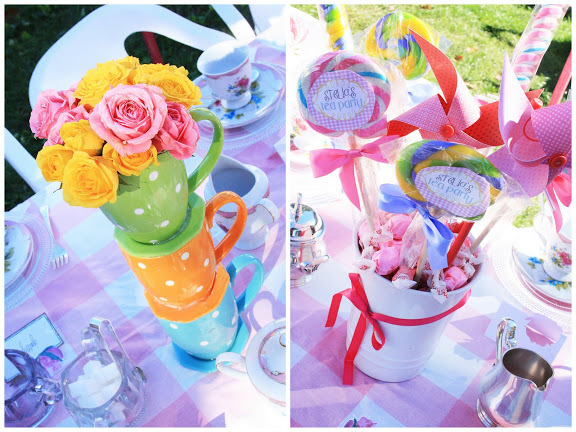 And made a lollipop garden centerpiece with “stella’s tea party” labels. I had a 12-piece teacup and saucer set that I bought a few years back and finally got to pull out for an official tea party. Any additional tea sets Becca supplied from her tea cup collection. 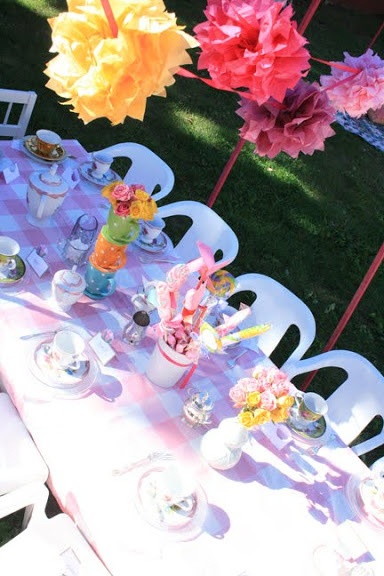 She also supplied cotton tea napkins and tiny silver spoons and forks for each place setting. All fine china! No paper products at this tea table. 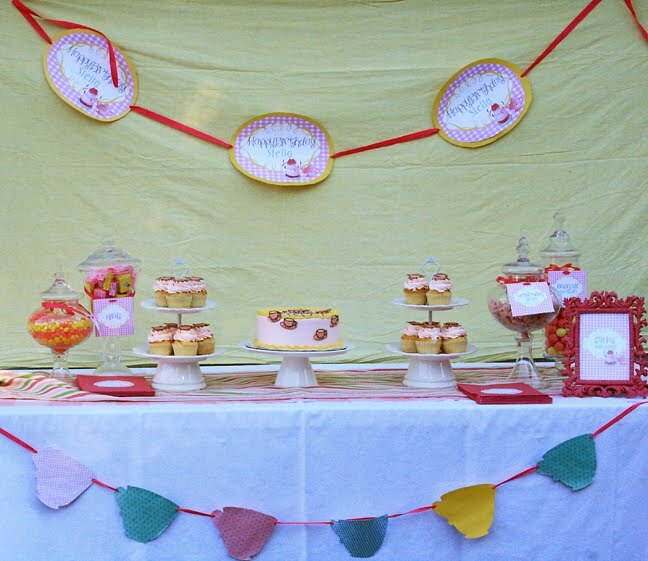 The dessert table was kept pretty simple. Becca brought up beautiful tablecloths that she uses at her tea house and luckily some of them matched the decorations. I made a paper teacup garland and a “Happy Birthday Stella” banner. 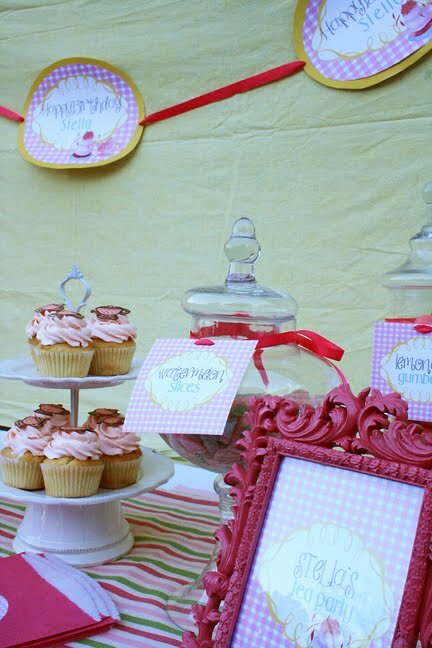 And labels for the candy jars because every birthday needs candy! The cake and cupcakes were made by Sono Baking Company. I wasn’t that impressed and am still on the search for the perfect cake bakery. One thing that I did like about the cupcakes were the little teacups were made out of white chocolate. Yum! 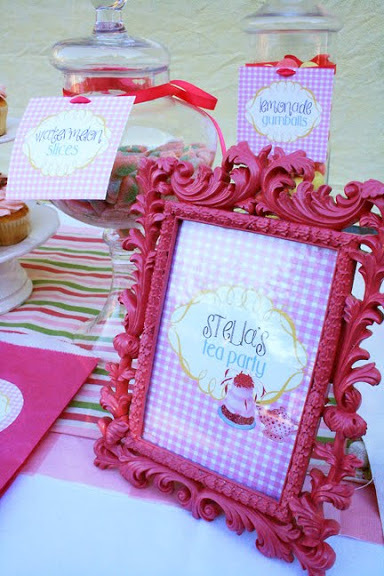 Tomorrow I’ll post party entertainment detail! Here’s the link for the invitations.